Comfort is a very insidious and misunderstood word. We think of comfort as something desirable but if we really understood the consequences of living a “comfortable life” we would squirm, shudder, grimace and acknowledge that not only is there no true comfort in comfort, there is also great harm. 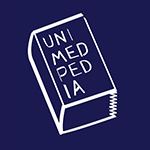 Remember that Unimedpedia looks at the true energetic meaning and usage of words. Therefore when we say that living in Comfort is anti-evolutionary and deeply harming to ourselves and others, we are not discussing our material or physical well-being nor suggesting we wear uncomfortable shoes or horse hair shirts. "What needs to be fully recognised and then ADMITTED is that as a society we seek truth that suits us and not a truth that will expose our ill-choices. We avoid true truth because it exposes that our ills, our undoings, our illness and disease all come from the fact that – we have separated from our inner-most. We simply hate it because true truth leaves no one to blame, no excuses to be made or accepted and thus it exposes that we have for a very long time sold-out to a form of comfort that is in-truth a way of accepting ourselves as a much lesser being than who we truly are. Ouch!" We are love. This love resides in our Soul and is our natural way of being. It exists within every human being, without exception. And while we each have the ability to live in a way that is harmonious, joyful, loving and true, we don’t always choose this for ourselves. Why? Because of the myriad of hurts and our unwillingness to deal with them that we allow to get in the way. Thus, to numb the pain of not living the love that we are, we seek comfort in a whole host of habitual and unloving behaviours that ‘soothe’ and ‘reassure’ us that we have made the right choice to not express love. We become enmeshed in a perpetual cycle of what is familiar; accepting and condoning these unloving behaviours by virtue of the fact that they are ‘known’ and hence feel safe, and not because they are true. And so, we live with the constant tension of knowing deep down we are not living who we truly are and that we keep making choices to live who we truly are not. Furthermore, should someone come along and live in the loving way we are not choosing for ourselves, we often lash out in a Jealous fury as yet another attempt to avoid what we cannot in-truth avoid. "In grace and to our great benefit, there have always been in our midst a soul, a messenger or a group of soul connected messengers who have always delivered truth in and all around us. We don't always like what these messengers say because it rocks our comfort, and or, our numbing way of life. And most tellingly, we do not like how they challenge our beliefs and ideals that we need for identification and most of all for comfort, even though, and in-truth, we do not live in pure harmony and in constant joy. Consider how far humanity has slipped away from their Divine truth, when they will defend their comfort and need over the joy and harmony that they could and should, naturally be in!" We are sold the “comfortable life” as something to aspire to. However choosing comfort to avoid our hurts is a very bad choice as not only does it not work, it also keep us away from our innate magnificence. The word comfort comes from the Old French word ‘confort’ and the verb ‘conforter’ meaning ‘to strengthen, to give support, to console’. In turn ‘conforter’ derives from the late Latin verb ‘confortare’ meaning ‘to strengthen much, to give strength’, from the union of the prefix ‘com’ ‘with’ and the Latin ‘fortis’ meaning ‘strong’. With time, however, the word comfort came to indicate ‘consolation, solace, alleviation of a person’s feelings of grief or distress’. It was then around the mid 17th century that the word transitioned to meaning ‘something producing a state of physical ease, relaxation, tranquillity, enjoyment’ as well as ‘prosperity and a pleasant lifestyle’. It is interesting to note that in its original meaning comfort referred to that which strengthens or brings strength. In fact, it appears that in origins this word was used to signify that the revelation or exposing of the truth about our intents, behaviours and life situations was to be received as something ‘strengthening’, as it would bring the awareness needed to impulse different choices and thus evolve. It may therefore come with surprise to see that with time the word comfort came to indicate the exact opposite: relief, consolation, solace or alleviation of grief or distress and even sympathy, none of which truly supports us to connect to the truth of what we are feeling and thus, it does not empower us to truly heal and be all that we are. These forms of comfort exist to quell the deep pain we feel when we made the choice to separate from the love that we are. And hence, our search for a state of physical ease, a pleasant lifestyle, relaxation, material prosperity etc. that the word ‘comfort’ refers to in its present meaning, exposes the very reasons why we as human beings look for comfort and hold on to comfort in any form or shape. Whether it be entertainment, distractions, food, drinks, drugs, hobbies, not committing to life, business, intellectual pursuits etc. or simply remaining within that which is familiar and habitual – which can also include the ‘struggle’ and ‘drama’ of life, it is in order to find relief, alleviation or consolation to the emptiness we feel for having made the choice to not live the love that we are, in all that we do. "The true quality of life is not based on comfort, position or wealth, but the true energetic state of being, which can produce a permanent presence that is still, vibrant, joyful and of course, harmonious. The human being today is totally engrossed in comfort and entertainment and therefore, in-truth, he and she are seeking a numbness and a way of well-being that is based on comfort rather than a true vitality and the presence of a vibrant joy." As human beings we crave comfort; however comfort only keeps us where we are not supposed to be. The pursuit of comfort is entirely driven by self-gain and as such, there is not an ounce of love or brotherhood to be found within its seeming ‘embrace’. Any form of comfort, even the most ‘subtle’ and apparently ‘innocuous’, is there to retard our evolution back to love and thus to our Soul-full way of living. Hence, comfort opposes our own evolution and consequently, the evolution of all. It is the source that we draw on to avoid going to the next level – it is our refusal to grow, expand and evolve. And so, like a thick blanket of fog, the force of comfort settles over us, tucks us in and provides the illusion of safety, familiarity and settling with the idea that we are doing ok, that we are ‘good’ people and that we are causing no harm simply because everyone else is choosing it also or, compared to others, what we are doing does not seem so bad. When in-truth, it is the force of comfort in all its forms, that blinds us to the divinity that is all around and within us and it is what prevents us from playing a bigger part in life. Not big in the sense of fame and fortune, but big in the sense that we bring more of ourselves – our love and our light – into the world and unashamedly so, for all to see and feel. Being stuck in the comfort of an easy life gives the illusion that we are doing ok.
" …truth is now on our doorstep and we cannot escape from it knocking on our door. Hence, we can open and welcome it, or, we can ignore the knocking, we can block our ears to not hear its calling, and or, we can retreat further into a part of our house where we are held in comfort and away from the sound at the door. The latter is a metaphor for the many ways that are used to not accept what it is we are to truly look at, hear and thus comprehend and accept in full." We have become masters at ignoring what cannot be ignored and choosing to not see what cannot be avoided. We can only say no to comfort if we say yes to love. Saying yes to love means that we are willing to consistently peer beneath the blindfold we have all held over our eyes for too long, come what may. It is the willingness to relinquish the contentment that comes from seeing things as we wish them to be, and instead finding the courage to see them as they truly are. It is the choice to honour the fact that we are each the every part of the every one of us, and our every thought, feeling, action and word affects not just those around us, but all of us and the whole that we are a part of. Thus, it is the choice to take responsibility and step out of the imprisoning cocoon, with all its creature comforts, that we have sought shelter in for so long. Strong words but what do they mean in day to day life? Statistics from Cancer Research UK present that in 2011 alone, 49,936 women were diagnosed with breast cancer in the UK. They also reveal that 1 in 8 women will develop breast cancer in their lifetime and female breast cancer rates overall have increased by 75% since 1975. Do we check out to what the above figures actually mean? Could we handle hearing a news report of these statistics every day, until we found the true answer? Would you rather hear what the cricket score is or what some celebrity did or didn’t do or say? What if when we look at cancer statistics instead of numbers we see people and the profound effect it has on everyone? By choosing comfort we seemingly can ignore and ultimately avoid our responsibility in our world to address such issues. But do we really get away with it? Saying no to comfort in this example, means choosing to not ignore the many such statistics that irrefutably show that illnesses and diseases are in fact constantly on the rise and that our health systems are on the brink, unable to cope with the increasing demand for medical attention required by human beings who are reluctant to admit that the way we live is clearly not working. Choosing to say no to comfort and yes to love, means to stand up for truth and truth only. That is: it means to speak up and denounce with no holding back what is not true in our lives, what is not working and what is not serving humanity as a whole. Comfort is a chosen ignorance to the true energetic state of the world. It is our refusal to see the corruption and evil that exist all around and within us, and the part that we play in allowing it all to be when we refuse to live the love that we are. "Comfortable intensity is an unnecessary skill we have most erroneously adopted. And as such we have lowered human life to be much less than it otherwise is. We ought to not consent to any form of disharmony or lovelessness, except the medium term intense discomfort that will come with correcting what we have ignorantly ill allowed for so long."